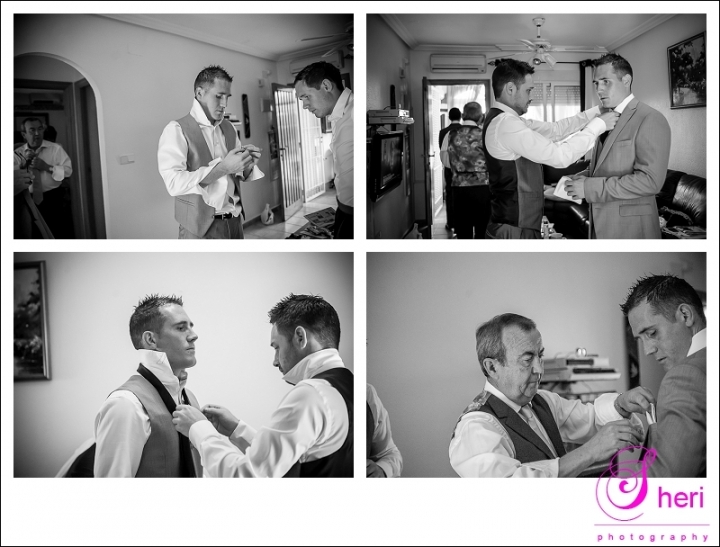 This wedding started in Torrevieja with the prep shots of the boys, followed by the prep shots of the girls. Both groups had lots of fun getting ready and drinking Moet at the same time;-). Lisa is such a stunning girl with her pale skin and dark hair, my gosh just have a look below and you will see what I mean. As the wedding car they had one of the coolest Beetle cars of Dave which looked amazing on the photos. The ceremony took place at the church of Pilar de la Horadada, their priest was such a nice man. They flew him over from Ireland and he spend the whole day with them enjoying everybody’s company. El bancalito is where they had their reception, diner and party and Louise did a good job making the dining area look lovely. The wedding cake was made by Cake Magic and looked amazing as always. 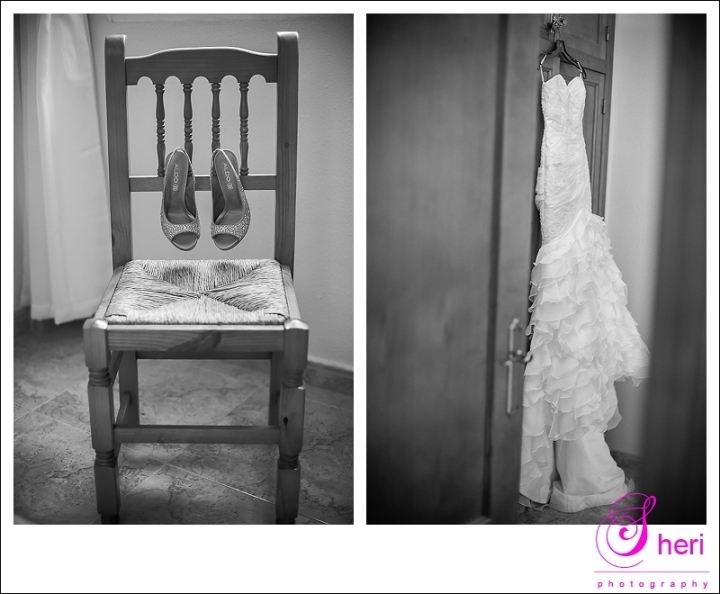 The videography was done by Claudia and Miquel of Wow wedding media and I’m sure their wedding video will look WOW! And the lovely flowers were arranged by Tagua, Campoamor. Have a look at their shots and I hope you like them! Lisa and Leigh, hope your day was fabulous, you both looked gorgeous and I wish you all the best for your future!